Been a while since I've posted anything up. In fact it's been a while since I've really sat down and done a bunch of painting. Combination of a few things including starting a Federation Commander campaign with a couple friends which has been monopolizing my time a fair bit lately. 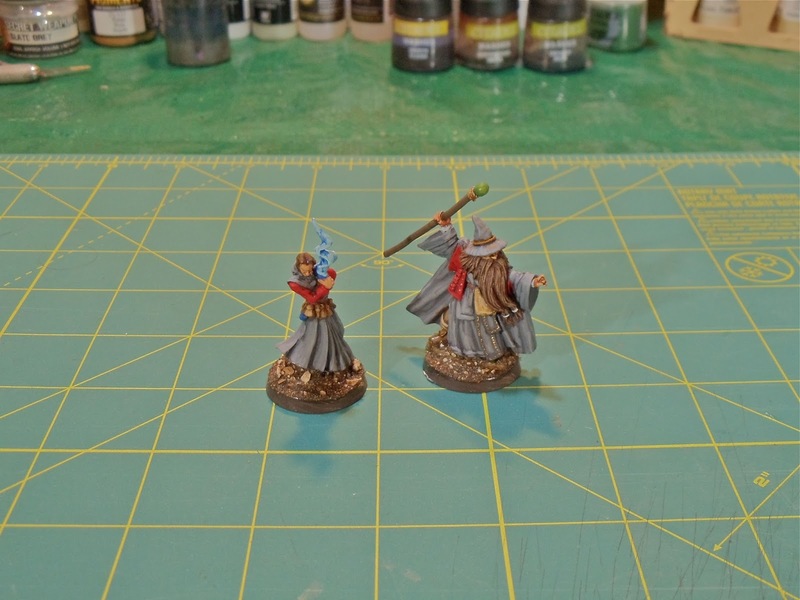 Regardless, these are some figures I painted up for Terry's Frostgrave game a few weeks ago. These figures are all from Reaper. These figures are all metal. The iron golem in the back turned out really good. Same goes with the three wights in the middle. The ice toad in the bottom started out crappy but actually painted up rather nice. The paint job on the giant spiders and wind elemental are rather 'meh'. These figures are all 'bones' figures with the exception of the two little ones in the foreground (and I see I've got the left one facing the camera). 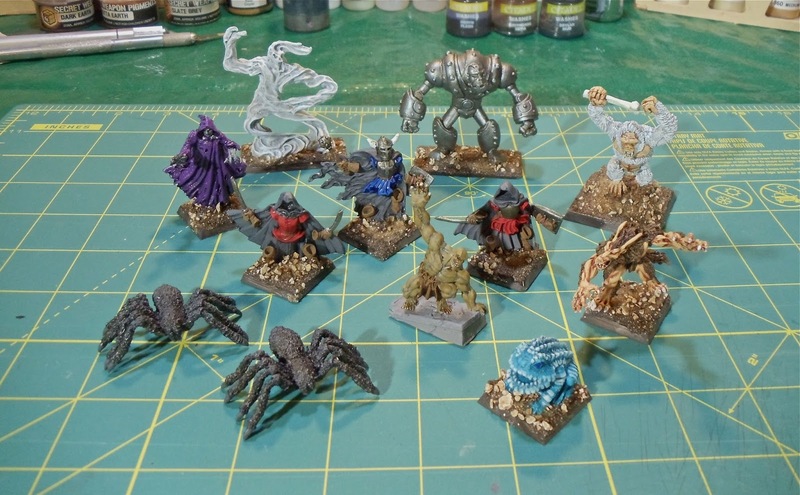 The stone golem turned out decent but the rest… . I can definitively say, I'm not a fan of the 'bones' material. If these were metal, I think they would've been much better figures. Can't beat the price though. The aforementioned two figures in the front are a pair of old metal GW familiars. 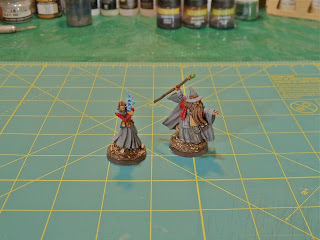 These two metal figures were the ones I used for my wizard and apprentice. 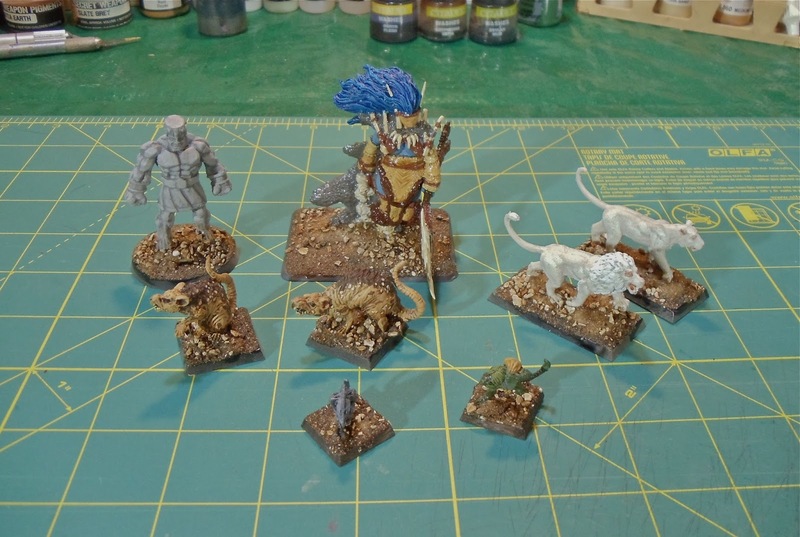 They were fun figures to paint and turned out really well. Recently I got in a number of new board games. The two below were two I had picked up at Fallcon. 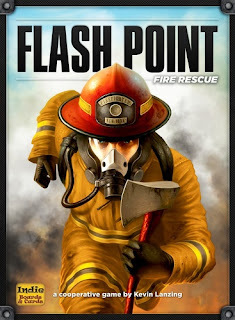 First up is Flash Point: Fire Rescue by Indie Boards and Cards. A friend of mine is a cop and isn't a big fan of firefighters. So naturally I had to pick this up. The game is a cooperative game in the vein of Pandemic. You have to go into a burning building and rescue a bunch of people before everyone burns or the building collapses. The set I got came with a pile of expansions. The parts are high quality and with the expansions there's plenty of building layouts to play on. 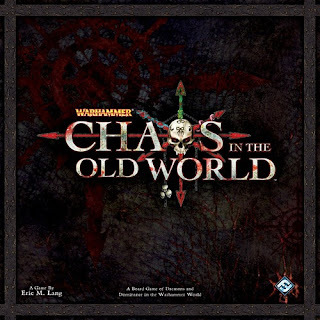 The other game I've played recently is Chaos in the Old World from Fantasy Flight Games. In this game each player is one of the four Chaos Gods and you're goal is to corrupt the Old World. It's a relatively fast playing game. After playing it I can see a fair bit of similarity to Cthulhu Wars. Parts are a la FFG, so high quality. As I mentioned at the start, I'm jumping back into the Star Fleet Universe and I'm now playing Federation Commander or as I like to call it: Star Fleet Battles Light. 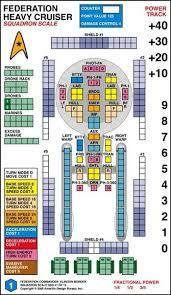 Ship sheets are a lot nicer than the old SFB sheets were when I played it 15+ years ago! On my paint table right now is some terrain, my Carthaginians spearmen (I hate painting linothorax) and I've primed up the last War Rocket fleet. It'll probably be well into December before I post again.